Earlier this year, I started planning a trip for my husband’s 40th birthday. After a few ideas popped up and were tabled, the best thought ever came to mind. How about Disneyland? Since we live in Virginia, a trip to California is no small overnight trip but it is one we’ve been talking about for years. The idea of mixing it up and heading west quickly grew on us. One thing we had always discussed was that whenever we finally made it out to the west coast, we would seriously consider continuing the trip and going on to Hawaii. So after awhile of settling into the idea of Disneyland, I jumped at the chance to add Disney’s resort in Ko Olina, Hawaii — Aulani — into the mix. So it was set! 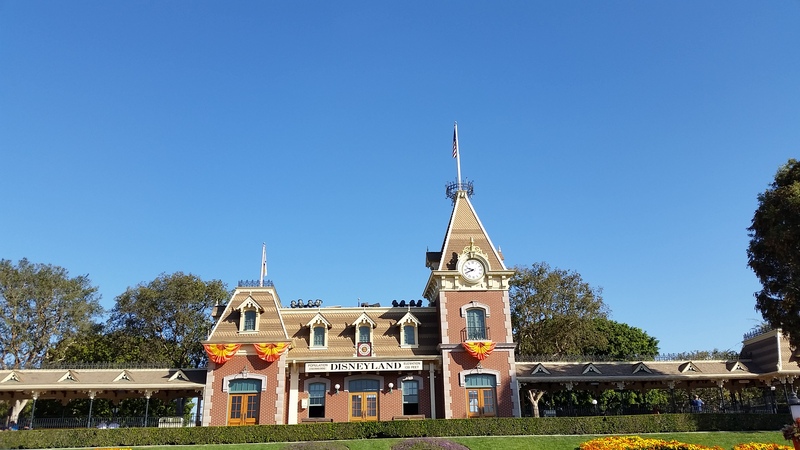 Three nights at Disneyland in the beautiful Villas at Disney’s Grand Californian Resort in Anaheim followed by four nights in Hawaii at Disney’s Aulani Resort and Spa. Really, you can’t go wrong with any Disney resort, anywhere. We are such Disney addicts that there was no question that Disney would have the honor of introducing us to Hawaii. We are also Disney Vacation Club members which gives us the ability to use Disney’s resorts as a part of the program, based on availability, advance booking, yada yada, which is a huge money saver. That membership was one of the best purchases we’ve ever made. After flying out on the hubby’s birthday to Anaheim, we landed at LAX. Not my favorite airport by any means. Since it was my first time flying there, I wasn’t sure what to expect but I definitely didn’t enjoy the construction and overall layout. Way too many people in too small of a place. I guess that’s what happens when an airport is built in a metro area before it really turns super metro. We had a car service drive us to Disneyland (thankfully, driving in that traffic wasn’t the way I wanted to start my vacation!) which was quick and efficient. 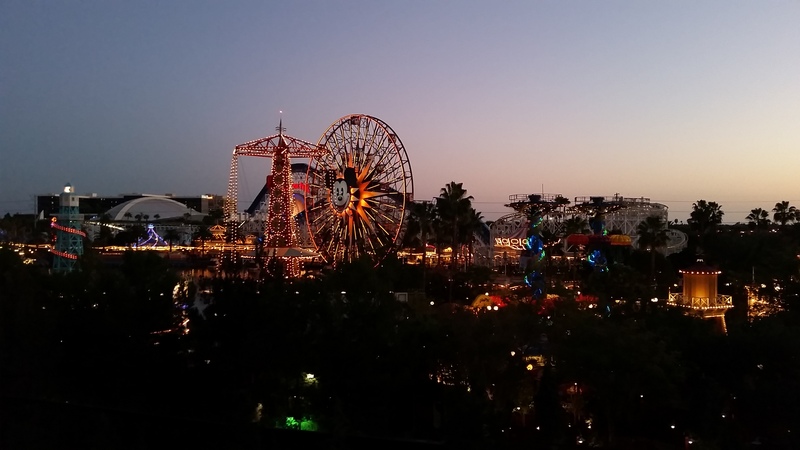 Upon arrival, we dropped our carry-ons and headed out to California Adventure. When planning this trip, I was a bit confused about the layout of Disneyland versus Disney World. It was hard for me to grasp the layout differences without being there to see it and once we were actually on the ground, it still took awhile for me to wrap my head around how different the two resort areas are. There’s no walking between theme parks at Disney World (well except for Epcot and Hollywood Studios) but Disneyland and California Adventure are literally steps from each other. Super weird. The Grand Californian also has an entrance directly into California Adventure and another into Downtown Disney which were fabulous but also so different from Disney World. The closeness of everything turned out to be so great though and quickly grew on me. Overall, no complaints about Disneyland and I most definitely will return, sooner rather than later I expect. I had heard that I would only need a day or so per park and didn’t find that to be the case. We spent almost three full days in the parks and I could have easily spent another two or three. Even though they are more compact, there is still a ton to do and lots to explore. A big favorite turned out to be Cars Land in California Adventure where we spent so much time. The Mater’s Junkyard Jamboree ride is easily one of my new most favorite things, giving me the non-stop giggles as the little tractors slung us all over the ride. 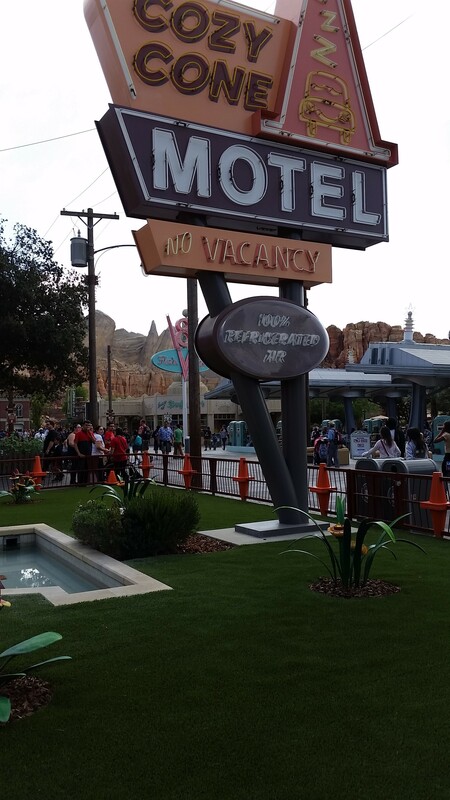 The authenticity of that section of the park was absolutely amazing with no detail spared in making you feel like you were standing in the middle of Radiator Springs with all of the Cars friends. One thing I didn’t understand involved other park guests and California Screamin’, a big roller coaster in California Adventure. I saw multiple guests buy full cups of beer, in plastic cups with no lids of course, and then attempt to load onto the roller coaster. They actually were confused when they couldn’t take the beer on the ride. I’m not sure where these people kept coming from or why they thought a full cup of beer on a roller coaster that goes upside down was a good idea but I’m grateful for the cast members that tried to give them a common sense lesson. I’m not talking one or two people either, several groups and both times we rode the coaster! Bizarre. We experienced Mickey’s Halloween Party at Disneyland and a Welcome to Disneyland Tour, both of which were phenomenal. The tour was about 2.5 hours and pointed out highlights of California Adventure and Disneyland plus included riding Pirates of the Caribbean and the Disneyland train, watching the It’s Tough to be a Bug show, getting reserved seating for Mickey and the Magical Map show, and FastPasses for the World of Color show that night. For $20 per person (we got a slight discount), that was money well spent and we had a great time. Mickey’s Halloween Party was a separate ticketed event at Disneyland from 6-11pm one night and featured trick or treating throughout the park, special parade and fireworks, character appearances, etc. So much fun and I’d have to say that I probably liked it better than Mickey’s Not So Scary Halloween Party at Disney World. The trick or treating was ridiculous with gobs of candy handed out in so many places in the park. You couldn’t come away without a full bag of candy and not the cheapo candy either. 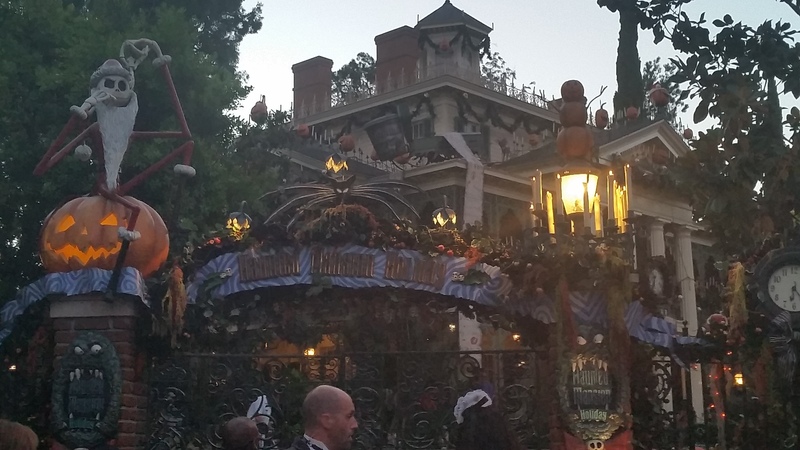 With the Halloween holiday, Haunted Mansion and Space Mountain at Disneyland had their Halloween overlays which were excellent! Haunted Mansion with its Jack Skellington and the Nightmare before Christmas theme was one of the best things I’ve experienced in a long time. I am flabbergasted that Disney’s Imagineers put that much into redoing a ride every fall to change it up. I was expecting something cool but I was floored by everything that was changed. It was the best. 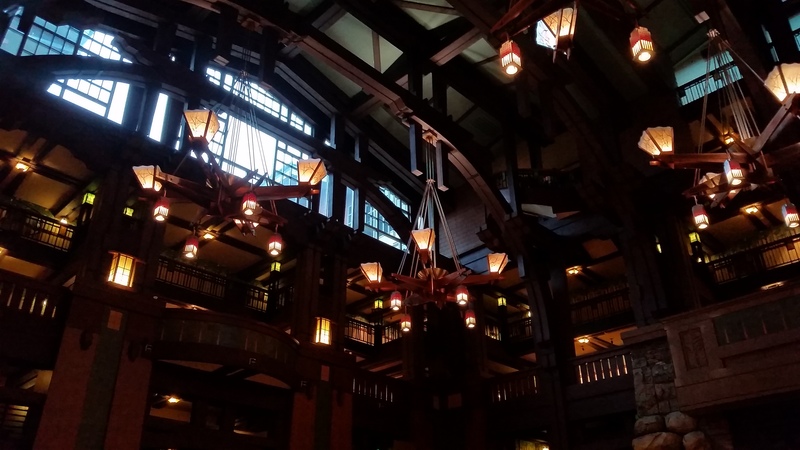 To wrap it up, the Grand Californian resort didn’t disappoint either. Talk about swanky! No spinning door but my daughter was definitely pleased. The woodsy feel and beautiful decor of the resort added to the overall experience that was pure delight. I couldn’t have asked for more there. The amenities and convenience to the parks couldn’t be matched. ← National Harbor, DC, and Cirque… oh my!